As a full-service construction company, in addition to being the region’s restoration PROS, CRM Services can bring creative remodeling expertise to your reconstruction project. But we are also available to provide our home and office remodeling services to all the region’s homeowners and commercial property owners. Whatever the size or scope of your project, CRM will be your one-stop, single-source contractor. We have the professional staff and resources to supervise any project – small or massive – and coordinate however many different building trades are needed to complete your project on-time and on-budget. 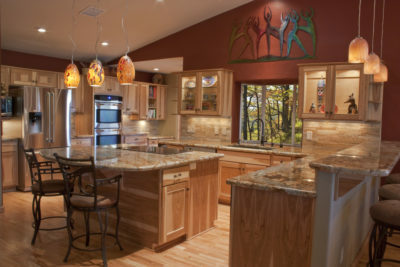 Kitchen Remodeling – Whether you’re looking to expand your kitchen, add a bump-out, update cabinets or counter tops, completely redesign with an island or knock out a wall to achieve a more open floor plan, CRM Services is the region’s go-to, full-service contractor. 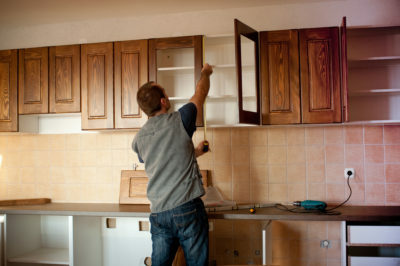 A kitchen remodel is one of the most valuable investments you can make in your home – and one of the most dramatic. Our creative designers and craftsmen will work with you to realize that dream kitchen – and maximize the savings our buying power and efficiencies will provide. Bathroom Remodeling – Looking to update an existing bathroom with creative flair? New fixtures, vanity, modern shower, a whole new look? 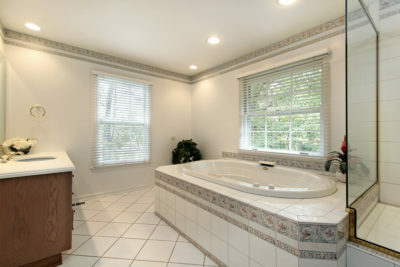 Or perhaps you’re looking to expand your bathroom, add a bathroom or create a magical master bath for your master suite? We can assist you in every design step, help you save money on the materials and ensure a high quality build-out by our master craftsmen. 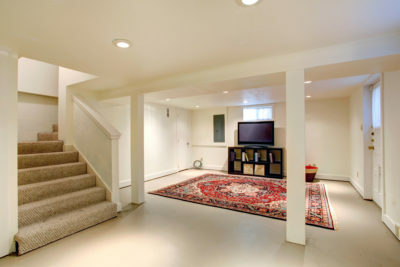 Basement Remodeling – From a partial basement remodel to add an extra bedroom and bath in-law or guest suite to a complete full basement design to create an entire new living space, a home theater, bar and entertainment center, a private office, a home gym or a playroom for the kids… whatever your need for extra living space, a basement remodel can be one of the most cost-efficient investments in your home. 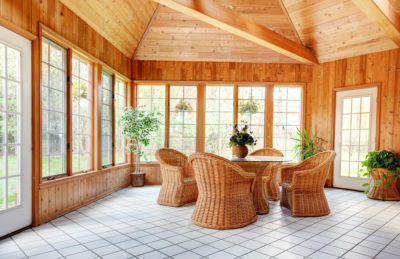 Sunrooms – Few home improvement projects add the WOW to a home than a beautiful, light-filled sun room. In addition to the extra living space, a sunroom adds an invigorating energy as well as a relaxed morning-coffee calmness to your life. Huge panes of glass add a magical openness to your living space, and bring the beauty of your outdoor grounds inside. Our creative design team will be YOUR design team to create a dream space that will dramatically enrich your home. Additions – Family growing? Living space getting tight? Needing new space for caring for aging or ill parents? Or for that stay-at-home college student? Or perhaps, you’ve decided not to move and would rather expand the house to make it everything you’ve dreamed of? The CRM Services design and construction team will work with you at every step – from concept to plans, construction to finishing touches – all supervised and coordinated by one single-source company so you can relax confidently. Renovations – Whatever renovation project you would like to undertake, CRM Services will supervise and coordinate the entire project end-to-end. 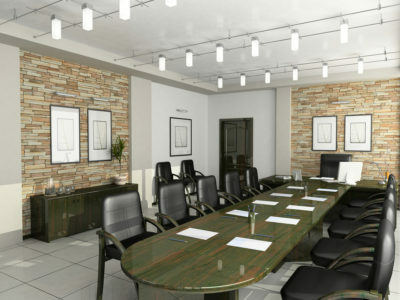 We’ll work with you to to create conceptual drawings, develop a cost-efficient budget and timeline with milestones, submit permit applications and follow through with the construction and walk-through approvals. We’re with you every step toward completion of your project. Office Remodeling – CRM not only is the go-to contractor for home remodeling, we also provide creative, cost-efficient office remodels, too. Whatever the size and scope of your project, CRM’s creative design team will help you combine stunning and impressive design with maximum functionality and business efficiency. For a Free, No-Obligation, No-Hassle Estimate of your remodeling project, call CRM Services at 678-540-8606… or click on the LIVE CHAT button in the corner of this page for assistance from a real person.